Creativity, Inc. - I know it's a classical book, but I just got to read it. I've read many, many great business books out there; each building upon the others to provide a valuable sense of direction. If I had to pick one to recommend above all overs, it would have to be Creativity, Inc.
Not only is it an engaging story about the cherished Animated Movie studio, it holds several valuable lessons about creativity in the workplace, and the natural human tendencies that squash that creativity. Even if you have no interest in management, this book holds valuable lessons in understanding how creative teams work together and how important critical feedback is in producing great works. 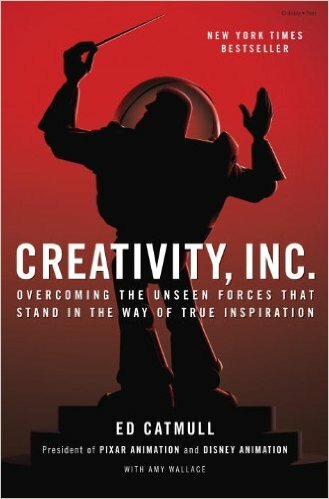 As for a non-fiction/business book I would say Creativity, Inc. by Ed Catmull. It is a great look inside the mind of one of the founders of Pixar, but also a great case study on how to deliver blockbuster success time and time again. This book gives a fascinating insight into how Pixar works, and a lot of what they do to create amazing movies is highly relevant to designing and building great products. It's been a while since I read it, but it's full of useful and practical examples to boost creativity and problem solving in teams. Creativity Inc, narrated by Pixar's co-founder Ed Catmull, documents the meteoric rise of Pixar from its humble roots as a technology company to the movie studio powerhouse it is today. The book offers a treasure of insights to anyone running a business that involves creative production of any kind. Ed talks about crucial strategies used by Pixar — the idea that every person in an organization is accountable for quality, that creative freedom and exploration are instrumental to building great products, that failure early in the process is not just acceptable but also to be encouraged, and many others. No matter your circumstances, storytelling and creativity are two 'meta-skills' that can take your business and life to the next level. Ed is a master.